Tonight, The GRAMMYs proved once again why they are considered the biggest night in music. I sat glued to the TV for the last few hours, soaking in the good with the bad. 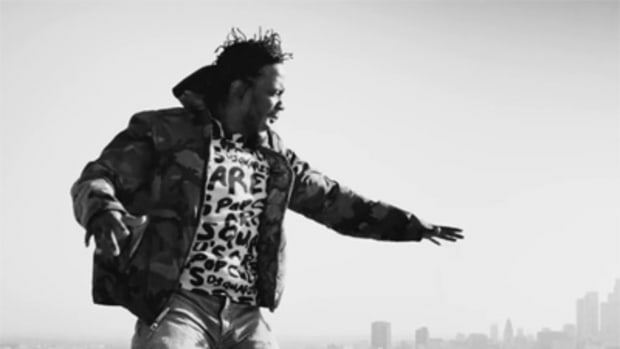 Like most hip-hop fans, it was Kendrick Lamar that inspired me to tune in. It was his night to shine and he did. Even though Taylor Swift stood in his way for Album of the Year, there was no Macklemore stopping him from getting Best Rap Album and four other awards. The cherry on top was his performance, another page for his history book. Every time he touches the stage it’s a guaranteed spectacle. 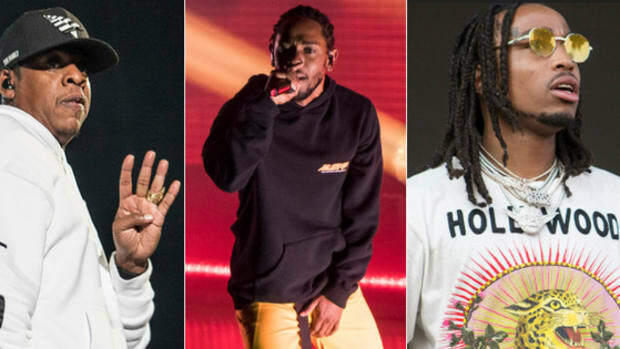 K. Dot wasn’t the only big winner though, D’Angelo, The Weeknd, Ed Sheeran and more all walked away with a new trophy for their growing collections. Down below you&apos;ll see all the awards for the Rap, R&B and Urban Contemporary categories, then Nathan will be doing a proper recap once he returns from GRAMMY land with insider tales from his adventures. Winners are in bold. The Dead Weather - "I Feel You"
I just don’t understand, how could “Bad Blood” beat “Alright”!? It’s a win for Kendrick since he’s featured, but one is in a completely different dimension if judging is based on quality. "Alright" is a movie, "Bad Blood" is a movie trailer. I’m glad to see Rocky get acknowledged, though, visually “L$D” is stunning, his nomination is a deserved hat tip. I demand a recount! Well, not really. No matter how incredible “Alright” is, the other nominees are also deserving of a victory or two. Ed&apos;s "Thinking Out Loud" is a strong record, the kind of song that will be around for years to come. Plus, it’s hard to be upset at a guy that can rap full Biggie verses from memory. If not Kendrick, I thought Wiz had a real chance. “See You Again” was massive, arguably the biggest song of last year in terms of widespread popularity due to Fast & Furious. R.I.P Paul Walker. I was really hoping that Syd and the gang would pull this one out. They had a fantastic album, The Internet has come a long way since Purple Naked Ladies. Back then I didn&apos;t predict the band being the next stars coming out of Odd Future (where’s Hodgy? Where’s Domo? Where’s Taco?). Kind of crazy that The Weeknd has a GRAMMY now, he is undeniably one of the biggest pop stars in all of music. Isn&apos;t he officially the biggest male pop star now? Is even Bieber on his level? If he continues at this rate he will have a house of GRAMMYs instead of balloons. D’Angelo returned from his long hiatus with a strong body of work and has been awarded a nice little trophy to take back into his cave. Jazmine Sullivan also suddenly disappeared, her hiatus lasted a five years, before returning with Reality Show. Can any one confirm if windows are still being busted out of cars? Nice to see uncle Charlie get nominated, but I don’t remember much chatter surrounding his project. And he didn’t win but Leon Bridges’ Coming Home is an album that will fill your soul with warmth. He will definitely be back. This feels like a category where I wish everyone could have won. Unfortunately, this award wasn’t televised but King Kendrick took it home. Kind of surprised Fetty didn’t win this one, I hear the GRAMMY&apos;s committee got a thing for trap queens. Notably, Drake&apos;s monster of a hit, “Hotline Bling,” wasn&apos;t nominated because Cash Money screwed up. 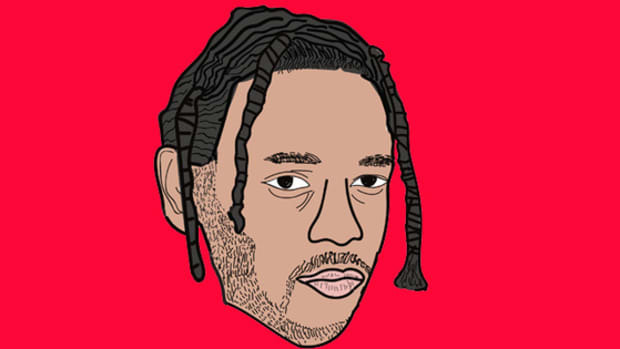 It might have been for the best for the 6 God though, I don&apos;t know if he would have wanted a piece of Cornrow Kenny. Drake - "Back To Back"
Nicki Minaj - "Truffle Butter"
"Alright" winning more than Charlie Sheen in 2011! Compton will be rejoicing for the entire year from this night alone. Would&apos;ve been crazy if "Back 2 Back" won, Meek Mill is somewhere sending Kendrick a warm congratulations text. Kind of crazy knowing "Back 2 Back" and "All Day" could&apos;ve won awards without being attached to any albums. The times have changed. This was the first award given, you could say the GRAMMYs wanted to get the rap portion over with but I’m proud that we got things started. Ice Cube and his biological doppelganger presented the award to Kendrick. Two generations of powerful West Coast hip-hop on stage, it’s not just a GRAMMY moment but a hip-hop moment. Dot acknowledging that the award is for hip-hop will be a remembered highlight. Worth noting, how did Drake squeeze his self-proclaimed mixtape into the Best Rap “Album” category? Why doesn’t the GRAMMYs have a category for mixtapes? A true travesty. Also, if you listen really closely you can hear angry thumbs mashing their phones debating that J. Cole is still better although Cole purposefully declined to attend this year. It’s going to be a long year. Not the way I thought this night would end. Taylor is simply unbeatable. They would give her a GRAMMY for breathing if possible. 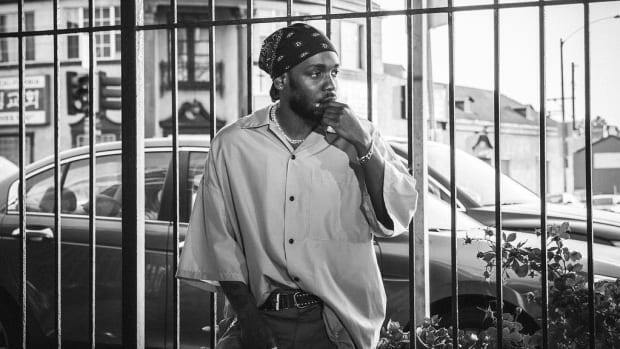 Kendrick won big tonight, five GRAMMYs with one being “Best Rap Album,” but it would have been something special if he grabbed “Album Of The Year.” Outkast is the only other hip-hop group to ever take home that honor, Outkast and Lauryn Hill if you consider Miseducation a hip-hop album. Even if he didn’t receive best album, I dare someone tell me Kendrick Lamar didn’t have one hell of a performance. We will be talking about what he did on that stage long after these gold-plated Gramophones have rusted. No trophies or accolades will change the fact he&apos;s an exceptional artist creating exceptional art. A great night for Kendrick, let&apos;s just hope Jay Rock has a swift recovery so we can truly celebrate this well deserved victory. Another GRAMMY year in the history books, as long as Taylor Swift doesn&apos;t text Kendrick apologizing for winning, this is one where we can hopefully let the debates rest.